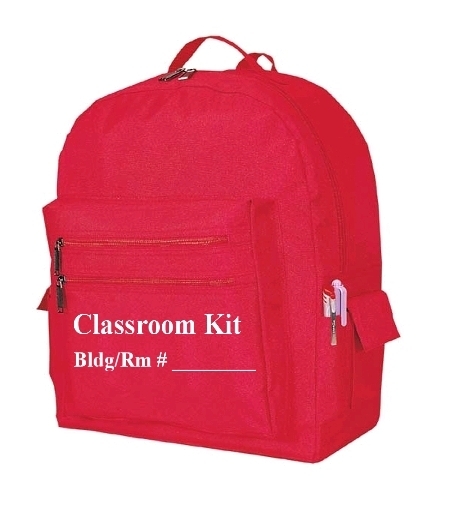 This mid size red backpack can be used for many purposes. 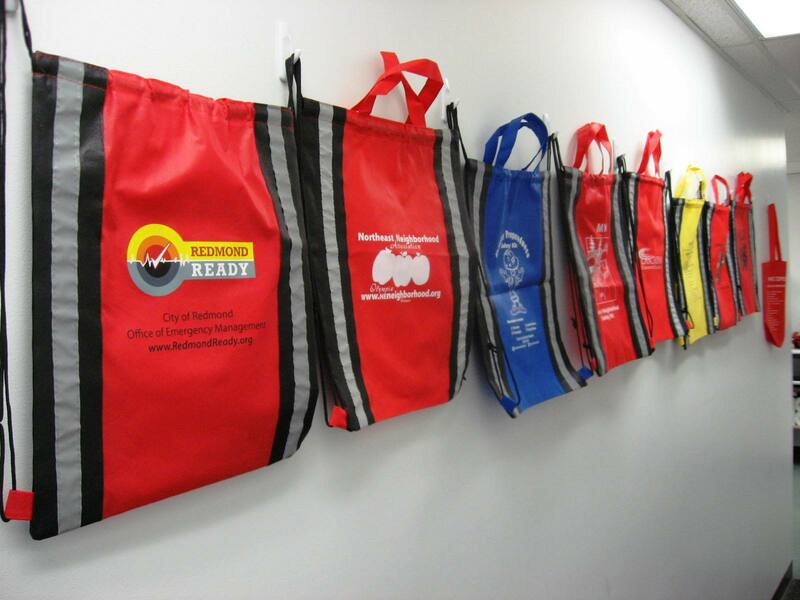 4 Outside pockets for quick access to and organization of needed supplies. Easily holds the contents of a 4 person preparedness kit. Room for a hard hat, pry bar, and other essentials. Dual Zippers for the main compartment. Adjustable shoulder straps and a reinforced handle. NOTE: Custom printing is available. Call 425-881-5354 for more information. See the Related Products below for custom examples.